*In line with the Singapore Ministry of Education Chinese syllabus. Chinese vocabulary learning requires mastering characters and recognition of Chinese characters is the critical element for one to become a successful reader. To be able to read and understand from text, children need a sufficient amount of vocabulary. 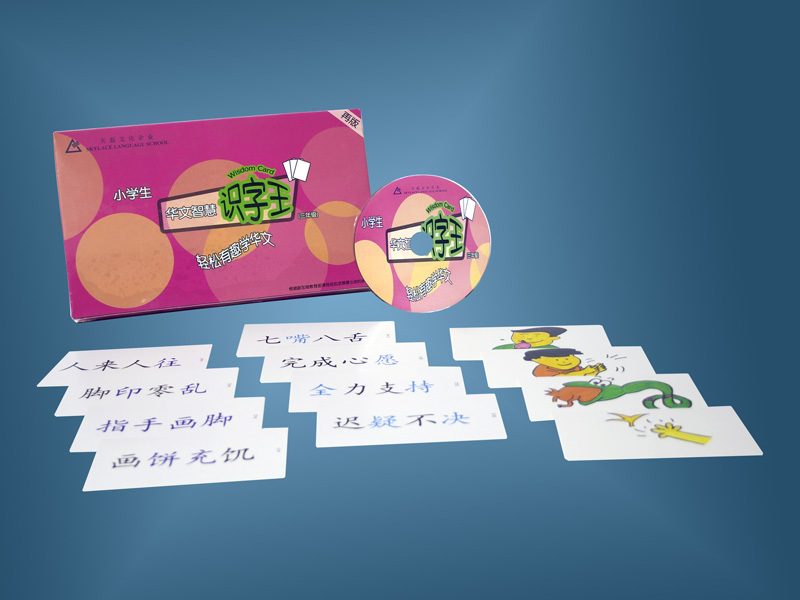 The Wisdom Card series are sets of colourful visual learning flash cards, which help children to recognise Chinese characters at a faster pace and enhance their reading comprehension skills. It is easy to use and come complete with an audio CD to guide the user. She scored 60/100 for her SA1. After using Wisdom Card for 2 terms, she scored 84/100 for her SA2. There is an improvement of 40%. He used to fail Chinese in school, and never like the subject. After using Wisdom Card for 1 term, not only did he manage to score 79% for his SA2, but he also finds it easier to master the Chinese Language. He scored 51 marks for his Chinese initially. After using Wisdom Card for 1 term, he scored 72½ marks and has made an improvemetn of 42%. Although he only managed to familiarise himself with the Primary 1 Wisdom Card, he has made a great progression for his Chinese result. There is an improvement from 15 marks (SA1) to 46 marks (SA2) for his Chinese Examination.